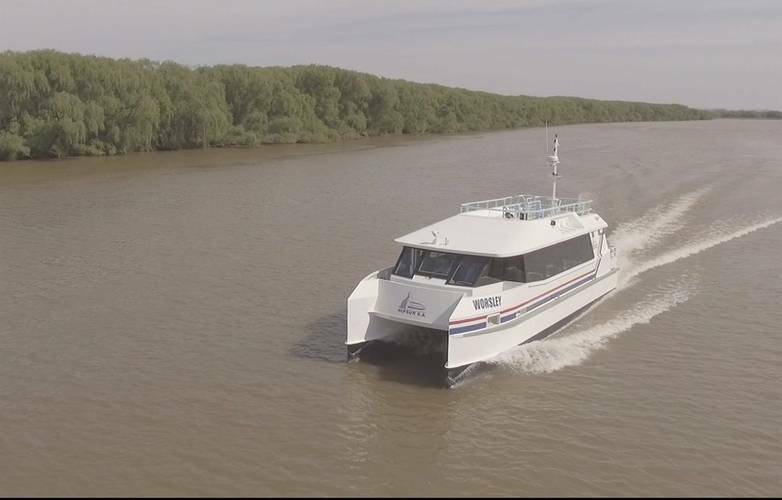 In September 2018, a 17 x 5 meter catamaran completed its final tests in the Tigre Delta of theTigre on the Parana River near Buenos Aires, Argentina prior to its delivery to her Chilean owners. The cat was designed by Eng. Emilio Noel and built by Astilleros Unidelta SA. which has a well-established reputation in a wide range of steel and aluminum workboats. The yard has a plant located in Buenos Aires with 10,000 cubic meters of open and 4,000 cu.m. of covered work space. The shipyard also has an engineering office located in the City of Buenos Aires. 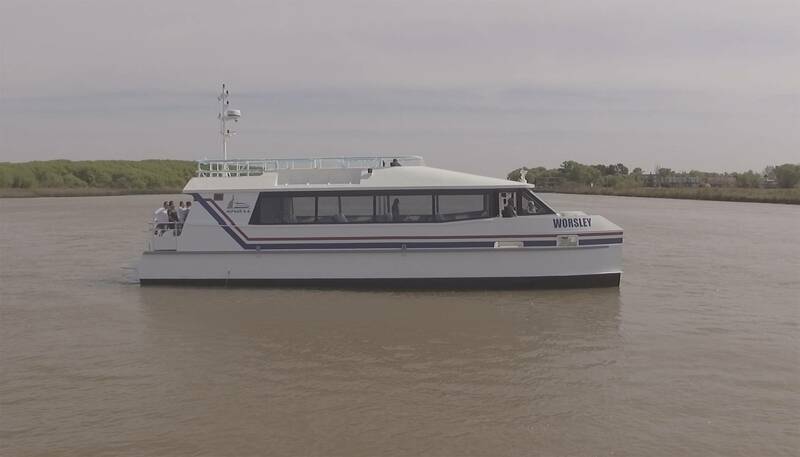 The new catamaran has a capacity for 69 passengers and a three-member crew. The power for propulion is provided by two Cummins QSB 6.7 engines, each delivering 350 HP (261 kW) at 2800 RPM.The two mains are coupled to two heavy-duty Konrad Sterndrives 680 B series. 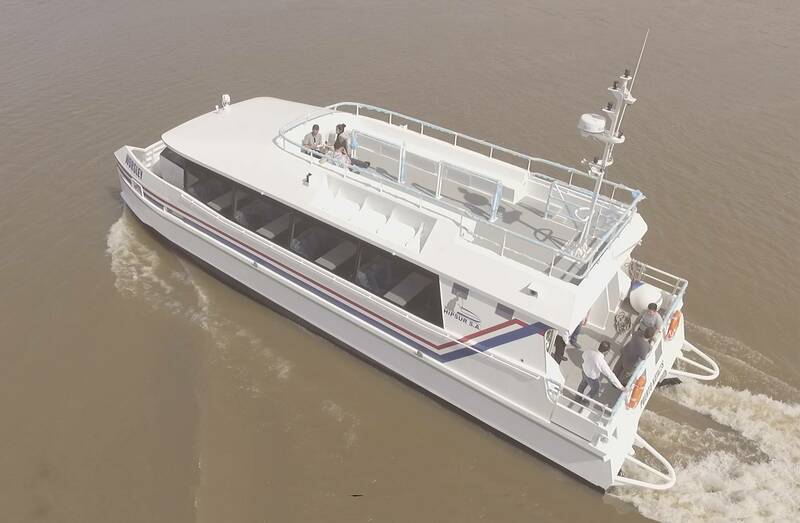 This arrangement allows the boat reach a speed of 22 knots with a range of 600 nautical miles. Tankage onboard includes fuel tanks with capacity for 3000 liters as well as fresh water tanks with 300-liter capacity. 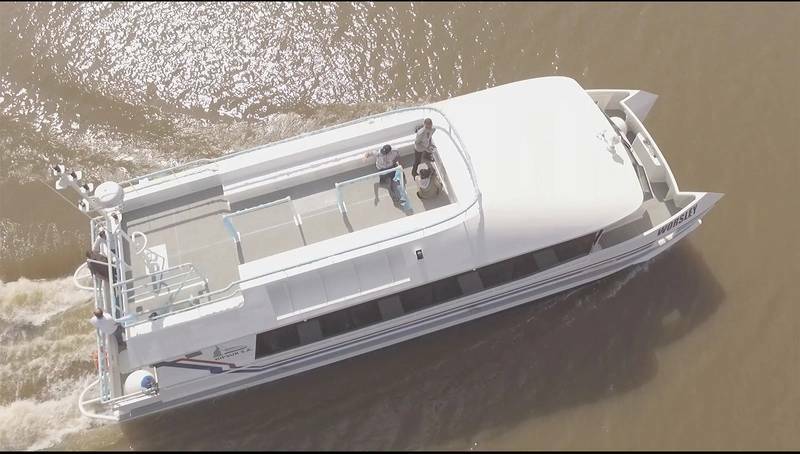 The boat is built according to Lloyd's Register Class & Prefectura Naval Argentina standards.